Were You Hurt By Machinery At Work? Our experienced attorneys know how to comb through the facts in a work machine injury case to help support a client's serious injury claim. We fight aggressively to see that our clients get the settlement they deserve. Call 1-800-898-HAYS right away. Georgia's workers' compensation law requires employers to cover employees' medical expenses and lost wages for a workplace accident. In many construction site accidents, however, there is a potential for a third-party claim against a party other than your employer. You may be entitled to a broader range of benefits. 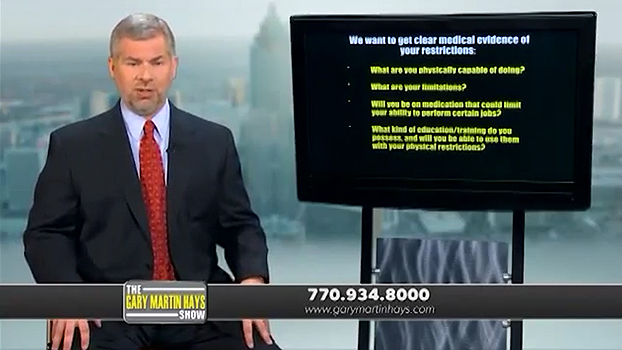 Contact the attorneys of Gary Martin Hays & Associates to determine if you are receiving all the benefits you are entitled to. How do workplace machinery accidents happen? One common factor in an accident at work: inadequate training. If a company fails to properly prepare an employee to use a machine, the risk of a serious accident goes up. In some cases, an employer may put profits ahead of safety and pressure a worker to use a machine without training him or her. In other cases, an accident might be related to faulty machinery. An injury may result in a lawsuit against the company that made the faulty machine. One other common cause of such injuries is failure to use protective gear. Depending on the nature of the work, the employee may need to wear a protective helmet, thick gloves, heavy-duty boots or clothing that protects from heat or flame. The good news is that workers' compensation is essentially a no-fault system. In other words, even if your machinery-related accident was your fault, your employer is still required by law to pay for your medical bills, lost wages and other expenses. Based in Atlanta, our work injury attorneys have experience in all types of construction, industrial, warehouse and other work-related accidents. Call us today for a free case evaluation.